Could your phone make you the next Spielberg? 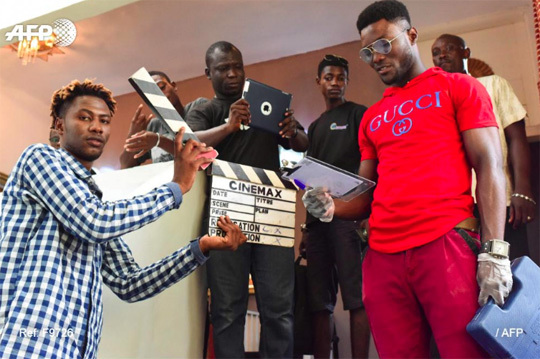 A film festival in Abidjan showcases directors whose movies are made by a smartphone. The three-day festival, which ended Sunday and followed an inaugural event in 2017, received more than 5,000 entries, of which organizers said they retained 3,694 submissions that met the required format. The Bushman Cafe, a verdant venue with hotel and restaurant, provided several movie theaters. Entries were submitted from all over the world, of which 350 were selected and a shorter list established to compete for five prizes. “We want to show people that we can make films even if we, unfortunately, lack the means,” Namane said. People like Namane went right on filming. His actress Berenice Irie weeps over the broken body of her lover near the swimming pool. Just a few meters (yards) away an evangelical pastor dressed entirely in white with an enormous cross on his chest stared inquisitively at the art gallery on another set.